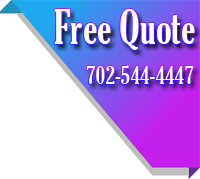 Nevada Commercial Maintenance, LLC is a local janitorial services company that has been providing our customers with the highest quality cleaning services for over 30 years. In that time we have grown from a small local office cleaning, to a rapidly growing full service janitorial, building maintenance firm that services a variety of customers in Las Vegas and all surrounding areas. Although we are large enough to service many customers each day, the livelihood of our entire organization is tied to providing you with best-of-class cleaning services. In short, we know you have a lot to worry about at your facility and we never want you to worry about the cleaning—this is our EXPERTISE!! We are willing to do whatever it takes to build a long term partnership that provides the highest quality services with a positive attitude, at a fair cost; Period. We are confident that our company is uniquely suited to provide you with the highest quality janitorial services. Copyright © 2011 Nevada Commercial Maintenance LLC. All Rights Reserved.